Karin wrote a post on Calling M3 APIs. 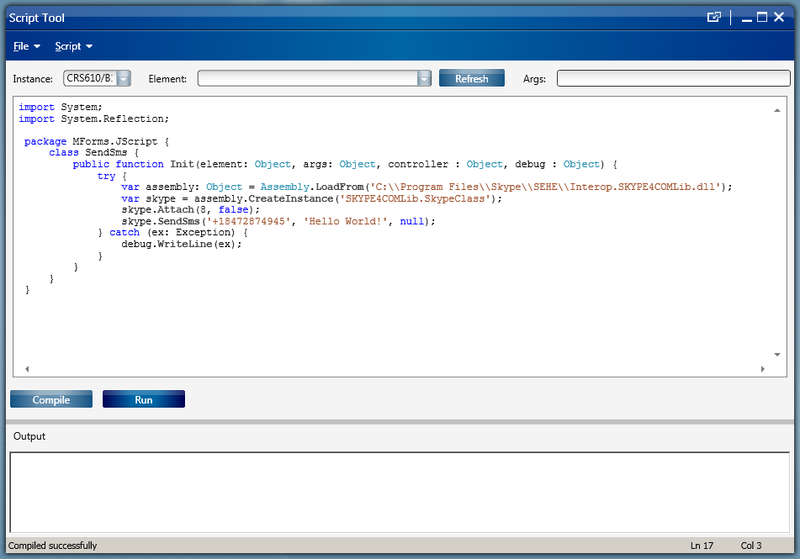 Note: The programming language for scripts in Smart Office is JScript.NET. Download and install Skype on the computer that is running Smart Office (the script must communicate with Skype locally). Then sign in to Skype (the script will not work if you are not signed in). 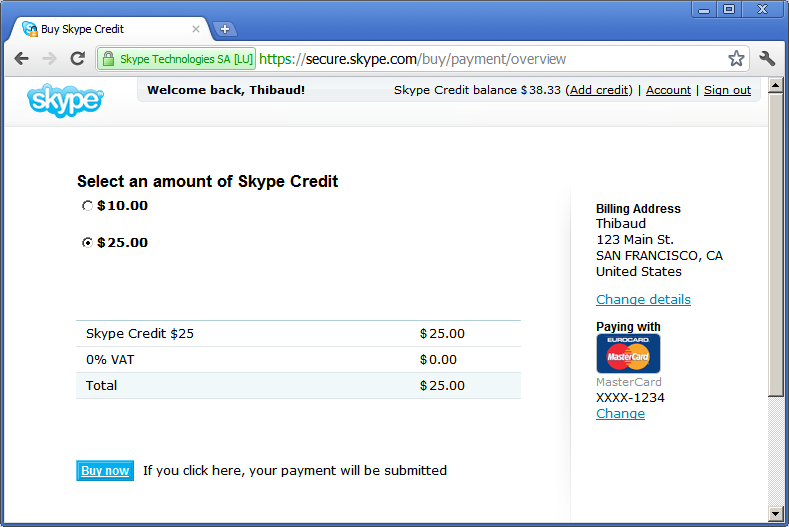 Also, your Skype account must have credit (USD, EUR, etc.) to be able to send SMS. Download and install SEHE and place the file Interop.SKYPE4COMLib.dll somewhere in your computer or somewhere on the network so that it is accessible by the Smart Office computer, for example C:\Program Files\Skype\SEHE\Interop.SKYPE4COMLib.dll or http://host/path/Interop.SKYPE4COMLib.dll . That DLL contains the Interop code to be able to call Skype4COM from the .NET framework. Launch Smart Office, and log in. 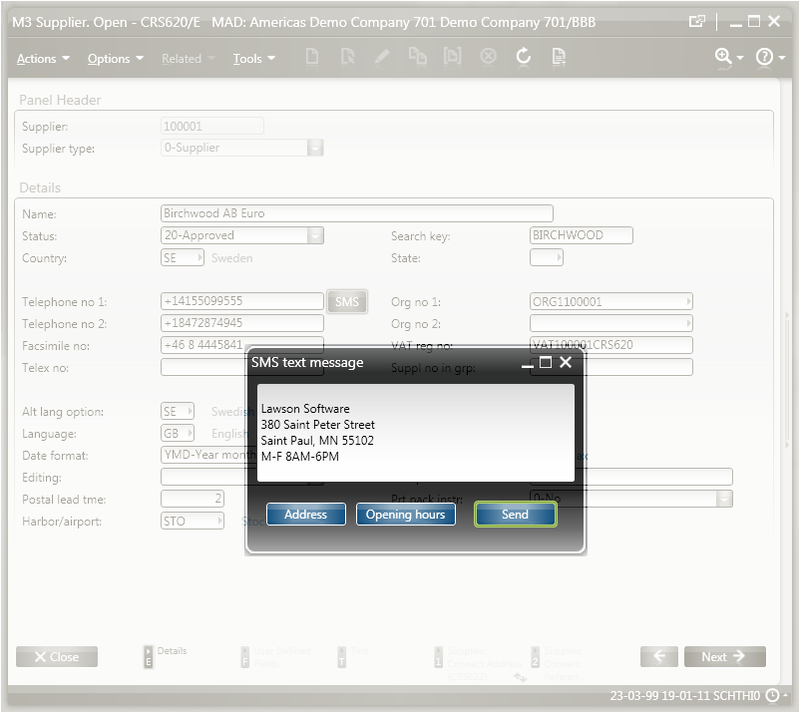 For the Script Tool it is necessary to have an M3 program open, so open for example Customer. Open – CRS610. Change the path to the DLL. In my example I used C:\\Program Files\\Skype\\SEHE\\Interop.SKYPE4COMLib.dll . Make sure to escape the backslashes in the String with double backslashes. Change the phone number. It must be in international notation. In my example I used +18472874945. Skype will show the message “LawsonClient.exe wants to use Skype”. Click Allow access; Skype will only ask once. Skype will now send the SMS. Check in your mobile phone that you received it. That’s it! Note: I tested this on Windows XP and on Windows 7 32-bit with success. It doesn’t seem to work on Windows 64-bit. Also, I tested this in Smart Office 9.x.